For the full skinny on the new Rev controller, read on for a comprehensive rundown from IDG News Service’s Martyn Williams live at TGS 2005. 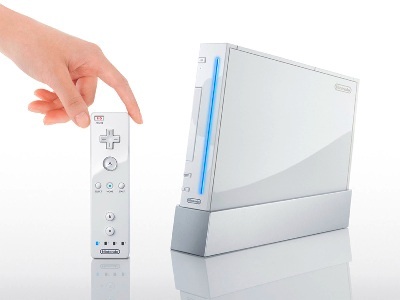 CHIBA, JAPAN (09/16/2005) – Nintendo Co. Ltd. will offer a game controller with its upcoming Revolution games console that is drastically different from those used in previous consoles. The controller looks a little like a television remote control and will allow people to play games with just one hand, said Satoru Iwata, president of Nintendo during a keynote speech at the Tokyo Game Show, which opened on Friday near Tokyo. The unit mixes buttons and motion sensors so games can be controlled through a combination of pressing buttons and also waving the controller around in the air. Simulations of the controller being used in a number of different games were shown during a video shown at the keynote. It was swung in a baseball game as someone would swing a bat, stabbed into space to kill imaginary bugs as someone might use a fly swatter and swung from side to side to control a tennis game on screen. There’s an add-on unit, connected via a short cable to the main unit. It was simulated being used in a first-person shooter game, of the type that’s very popular in the U.S. The main controller was held in the hand and pointed while the secondary controller was held in the other hand and became the gun’s trigger. The new style controller is part of Nintendo’s drive to expand the gaming population and Iwata said he hopes it will be less intimidating for non-gamers to pick up. Nintendo’s already made innovations in the portable gaming space with its Nintendo DS console, which features two LCD (liquid crystal displays) one of which is touch-sensitive. The Nintendo DS, which was launched at the end of last year, has been selling well, Iwata said. Sales in Japan to the end of August, about nine months after its launch, were 3 million units, he said. In particular the device has succeeded in getting new people into gaming or attracting people back to the pastime, he said. Iwata’s speech came three days after the company launched its latest portable gaming device, the GameBoy Micro. The device went on sale in Japan on Tuesday and has been selling well, he said. The GameBoy Micro will go on sale in the U.S. market on Sept. 19 and will cost $100.